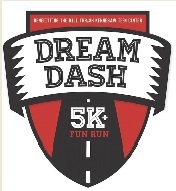 Join us as we kick off the 2nd race of the Kennesaw Grand Prix Series with the Dream Dash 5K, benefitting the Kennesaw Teen Center. Run/walk through Kennesaw's downtown Main St. and through Swift Cantrell Park. Our course is fast and flat, well marked, and USATF Certified with no automobile traffic. The race is professionally timed and a Peachtree Road Race qualifier (GA1103OWC). Participants will cross the finish line with a post race party on the City Plaza to celebrate with family and friends! *No dogs allowed. We welcome walkers and strollers to please start behind runners.